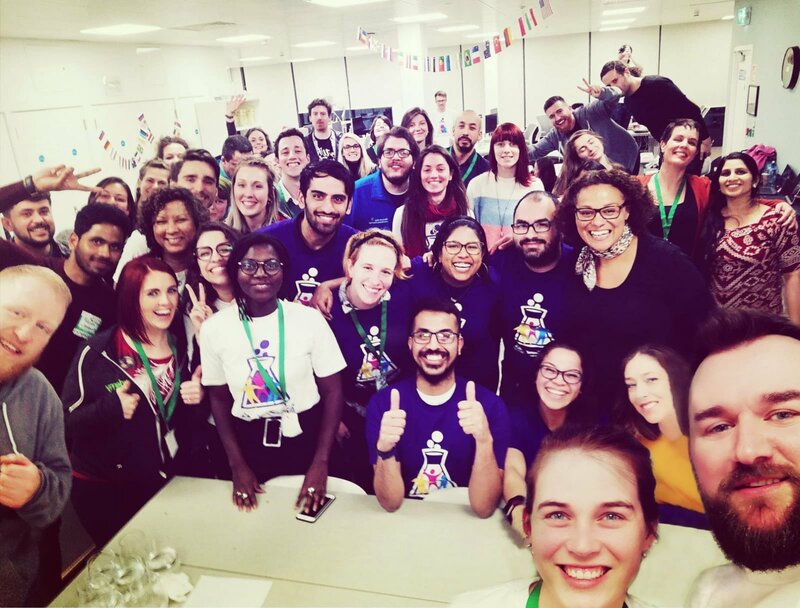 The weekend of 8-10th March saw Techfugees partnering with Startup Weekend (Google for Startups fellow ) to support a 54H hackathon on the broad and important topic of immigration in Ireland. Well, a whole bunch of inspired, creative and motivated people. Throughout the weekend, at Udemy in the center of Dublin, the teams got the opportunity to learn from the lean canvas methodology with Gene Murphy (Startup Boost) on Saturday and go through a pitch training with David Watters (Dublin Tech Summit) on Sunday. Each team also got mentored by professionals to help get stronger ideas on their business model, the customer validation process, and how to go about the design and technical execution of their idea. 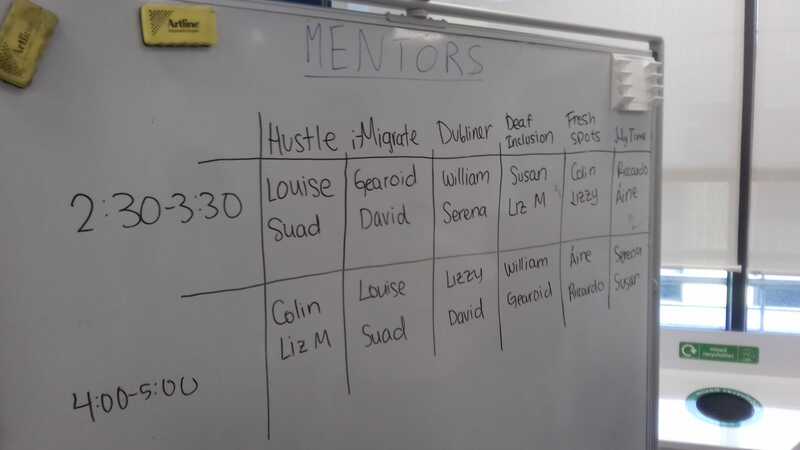 Suad, founder of the Refugees Are project which won the Techfugees Global Challenges competition 2018 in the “Social Inclusion” category was mentoring along with our Global community coordinator, Louise in town for the weekend & Liz from Dogpatch Labs, Google for Startups partners as well. It had been a long time since the local Techfugees Ireland chapter did gather together in Dublin, and we were happy for this event to re-ignite the fire to do more locally. At the event, we counted no less than 11 nationalities, from Venezuela, Brazil, China, Nigeria, Malawi, etc! This diversity enabled constructive talks between techies, policymakers, startup founders, strategy consultants, accountants – and even nutritionists! Among the many challenges discussed, the one that got the most attention was around how to hack the Kafkaian procedures and the numerous different labels assigned to migrants on arrival by administrations. Instructive discussions also took place about Direct Procurement, and how the current housing system can result in refugees feeling isolated from existing communities. Unfortunately, the team Bridge – a microfinance platform for migrant entrepreneurs – who won the “Techfugees Recognition Prize” couldn’t continue the development of its prototype after the hackathon. 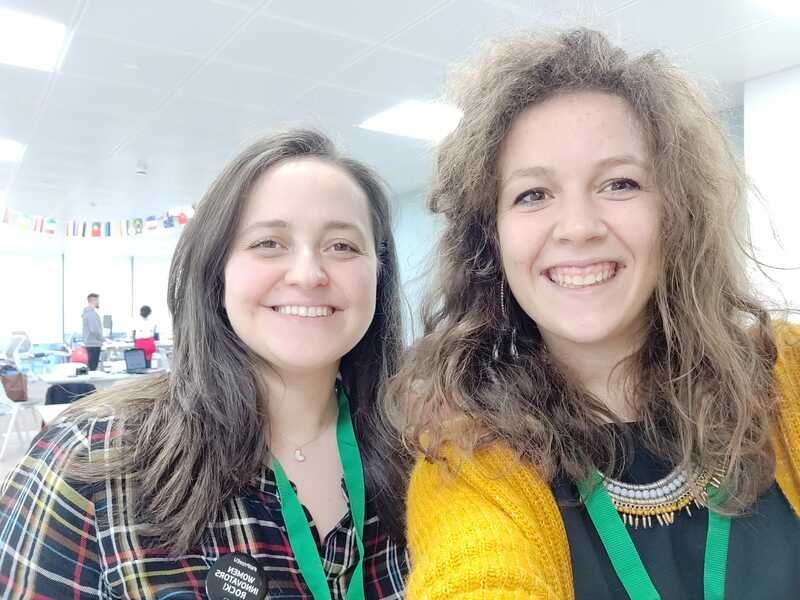 However, our Techfugees Ireland team was glad that participate in this Startup Weekend and use it as a platform to advocate for more #tech4refugees solutions and meet with many volunteers, as well as future Tech and NGO partners. Where and when to get involved in a Techfugees hackathon? #TFChapters – Meet Arjan & Yama and find their plans for Techfugees in the Netherlands out!#TFChapters – Fresh new start on Techfugees chapter in Berlin!